What. A. Week. Wow I don´t even know where to start. Me and Elders Smith and Bradshaw got our visas the Tuesday before we were supposed to leave for California and it was pure craziness and happiness for the next couple of days. Sadly we had to leave Elder Bradshaw behind because of tonsil problems, but he'll be joining us here in a couple weeks. Wow the plane ride was just awful, two whole days of flying and waiting for hours in Dallas, London, and then South Africa. When we finally got here, we were exhausted, but sooo excited. When our plane descended below the clouds, all I saw were miles and miles of rectangular metal shacks where a lot of the people live. There was a welcome party of 5 at the airport waiting for us- President Merrill, his wife, the AP, and two others. The drive to the mission home was way crazy. There´s dirt and dust everywhere here and people sell all sorts of stuff on the side of the road. There were actually six missionaries leaving that night after serving two years here, so it was really cool to talk to them about the mission and some crazy stories they had. I also got to talk to the legendary Elder Rush, serving as Assistant to the President. I told him that literally all our moms read his blog and we read it all the time in the MTC, which he thought was hilarious haha. The next day, I met my new companion, Elder Slade. He´s been out here for 2 transfers, but he´s just about as fluent as you can get. Really impressive. My favorite part so far about being out here is just walking around and talking to people and Elder Slade. The people here are pretty friendly. They see nothing wrong with a stranger coming up to them and asking if they´re married for some reason... They also can´t quite seem to figure out what nationality we are. In the last couple days, I've been called Chinese, Russian, Australian, and Mexican. The other funny thing about them is they see us, the only white people around for several miles, and automatically assume that we can´t speak Portuguese. People talk about us all the time as we´re walking down the street. We try to be polite of course and usually don´t call them out on it, but every now and again, Elder Slade needs to inform them that, yes, we do in fact know that you are calling us beautiful chinese men from the Seventh Day Evangelist Church and we are actually missionaries from the Church of Jesus Christ of Latter-Day Saints. We get some pretty stunned reactions haha. The church is pretty new here, so we have to build a good base for it to actually grow. That means that we have to focus on families and not single drunk men on the street. But it is very rare to find a couple that is married lawfully. So we generally look for nicer cars or houses that would imply that they are following the law of chastity and are being blessed for it. Almost everyone is willing to sit down and talk to us about the gospel here, but it´s our job to find the elect in Angola. People who will eventually be leaders as Area Presidents or General Authorities in this part of Africa. The scripture "The field is white, already to harvest" is taken very seriously here. If a person we meet is not ready to receive the message we have to offer and won´t keep the first commitment of coming to church, we move on. It´s been hard at times to just move on after someone´s been so nice, but if they aren't willing to accept our challenges, we know they´re not ready to join the church yet. It´s been a really really tough week so far. We had a ton of appointments fall through, so we've had to walk a lot. Plus it´s really frustrating to see people not come to church even after we explain how important it is. But, I've loved every second of it. I love the people and this opportunity I have to share the gospel. I love this church and so grateful that I grew up in it. Have a fantastic week!! I forgot to say where I was in the mass email, but I´m in an area called Vianna which is in Luanda, but it's the eastern most part. My apartment is supposedly the best in the mission. It has constant hot water and electricity which is really nice. We study for four hours every morning and then go out until 8 at night because it gets sketchier after then on the streets. There´s a lot of interesting smells everywhere, but the people are really funny and nice. All the little kids call us Amigo, which is friend in Portuguese as long as you say the last o with an ooo sounds as in hoot, but they call us amigo with a hard o at the end which is just them making fun of us for being foreign because that´s how non-Portuguese speakers say it. The first week was really tiring, but it wasn't super discouraging. My language is not as good as I´d like it, but I can communicate pretty well with people. Dang I only have 20 minutes left so tell the family hi and sorry if I don´t get to all of them. This is probably going to be my last P Day until next next Monday, although I'm pretty sure they'll let me email you guys when I get there. The last couple days have been like a dream, like super surreal and going by suuper quick. We talked to a lady in Angola over skype yesterday for like 30 minutes and it was really really cool. I understood everything she was saying and she understood me and it was a really great time. She said the food is super good and this white lady from the States who lived with her agreed and said it's going to the best fish I'll ever have. The Angolan lady was super excited that I'm coming on Wednesday and promised to make me something really good if I came over to her house hahaha. So tonight me and Elder Smith are on splits while we email, do laundry, and pack so I'm going to be online for the next 45 minutes or so, and tell the girls to check theirs as well. If you don't see this, I'll call you in Dallas or London, not sure yet, but definitely one of the two. Have a great week! You might be asking yourself right now: "Hey, wait a second, is Elder Christensen illegally using computers on a non-P Day?" Well I got super special permission to do it because..... OUR VISAS CAME!!! Me and Elder Dawson went to get the mail today and there was a bunch of travel plans in it. Everyone's was in there except for me, Elder Smith, and Elder Bradshaws, which I took as a really really good sign. We ran down to the travel office, but the door was closed. But we just walked right in expecting to see them hard at work on getting visas done for missionaries aaaaand they were watching the Hunger Games on their flat screen TV. Figures. Anyway, they told us that our visas had in fact gotten though and that we would be following the original travel plans we got (which I had thrown away as a sign of independence and disgust) and we're leaving Monday afternoon!!!! We have a two hour layover in Dallas, 6 hour layover in London the next day, 1.5 hour layover in South Africa, and arrive in Angola at 12:35 PM on July 22 local time I believe. Unfortunately Elder Bradshaw will most likely not be joining us because of his tonsils, but will be serving in DC with 3 others while one other is serving Arcadia. They'll probably send them out immediately after they get their visas in the middle of a transfer. Thanks for all your love and support. I'll write to you on Saturday night. This week at the MTC has definitely been one of highs and lows. On Friday, I went to get the mail as part of my duties as District Leader and the first thing I saw was a bunch of travel itineraries. I started freaking out when I saw them and couldn't open the combo lock because my hands were shaking so bad. These two guys from my zone were also in the mail room and they were screaming behind me. The itinerary on top was mine and it said that I was leaving on Monday, the 20th, on a 2 day trip to Angola Luanda, which meant my visa had finally come! I pretty much collapsed against a wall while the two other elders were hitting me, hahaha it was a crazy time. So I looked at the rest of the itineraries and it said that we were ALL going to Angola, which mean that the seven of us had miraculously got our visas, even though only three of us had turned in our papers at the consulate! We decided to drop by the travel office later that day and find out how, but everyone in the mean time was freaking out like crazy. Later, we went to the travel office, and they took a long time checking it, but they said "Oh, it says you were all reassigned, you're visas aren't here yet.... So she read down the list and I've been reassigned to Arcadia, California. They're sending the seven of us to Arcadia, San Jose, Bakersfield, and Redlands. Pretty disappointing. But Elder Smith reminded me of a devotional that Elder Bednar gave to the MTC. Bednar was talking to a man that had a severely injured leg and asked him if he had faith to be healed. The man said he did, and Elder Bednar then asked if he had faith not to be healed. Basically, Bednar is asking whether we have enough faith in Christ and God that whatever happens to us, we know that it is supposed to happen, that God is doing it for a reason. I know that God has a reason for me going to Arcadia. I'm not sure if there's a specific person there that needs my light or if I need to meet someone or just get better prepared for Angola, but I've accepted that I'm going to get to Angola, just in the Lord's own time. Also on another spiritual note, all the missionaries got to watch the broadcast of President Packer's funeral, which was a really cool experience. I'm disappointed that I wasn't alive when he was in his prime, because he had some really fantastic talks. This week, I've probably watched about 10 of them back in the 70's and every time, there's something in there that feels completely directed to me. My favorites have been Spiritual Crocodiles and The Mediator. He was a great man and a spiritual giant, and the church is really going to miss him. Because I'm leaving next Monday, either to Arcadia or Angola if my visa comes on time, I get to email on Saturday night as well, so I'll send out an update on my visa. Week 4 at the MTC is officially over and I have two weeks left in spiritual prison on Earth. Hahaha jk, it's been a really good experience so far. Every week, I keep telling myself that next week's email is going to be shorter because of the pretty routine schedule around here, but something exciting happens to me every week, which is pretty awesome I think. 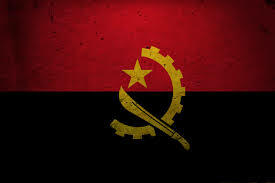 So on Wednesday, I got a letter telling me that I have been invited to participate in a special flag ceremony and devotional on July 4th where I will be holding the beautiful flag of Angola. I was suuuper pumped and excited to do it, and there was another guy in my district, Elder Montes, who was assigned to carry the Brazilian flag so the other Elders got annoyed with our excitement pretty quick. Anway we show up on Saturday afternoon for practice, and there's a ton of flags by the podium, but I cannot see Angola's. Then they say that there are some flags they don't have and instead, they have pieces of paper with the flags on it, and they are going to be reading the names of the countries that have this special assignment. 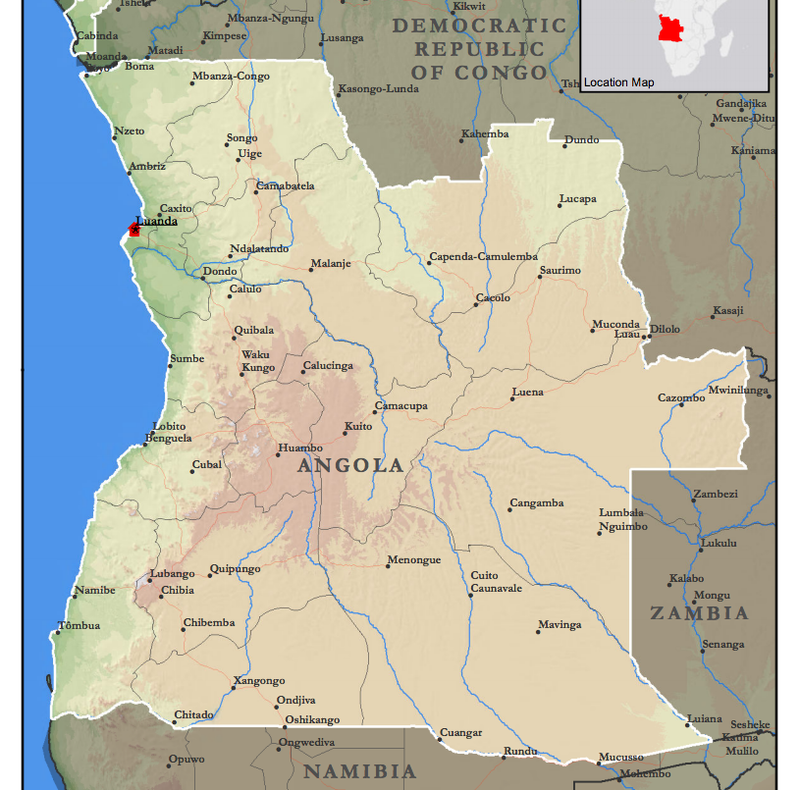 Of course, Angola was the first country called. But before you go around bashing the MTC for disrespecting Angola, you should know, this wasn't just any kind of paper with an Angola flag on it. This was a real nice piece of paper, like prime card stock. Anyway, when I walked down the aisle with my piece of paper, I was proudly turning it left and right, so everyone could see how nice the quality of the paper was. Instead of putting my flag in a flag post like everyone else, I had to also put the flag on a piece of tape on the podium right below the speaker. So naturally, I was in a pretty rebellious mood, so after the devotional, I turned to Elder Dawson and said "Go get it, we're taking it with us". So he walked right up to the podium and stuck the "flag" under his jacket and now it's in our room haha. Also this week, we started teaching each other instead of our teachers as investigators, so we all got to make up our own investigator to have taught. Me and Elder Dawson were asked to teach Elders Delano and Parker, the Zone Leaders. We first taught Elder Parker and had Elder Delano sit in as a "member". These guys are a pretty interesting companionship, they either love each other or not so much. Anyway, we're starting the lesson with Elder Parker and he one of the first thing he mentions is that he's likes playing the trombone ( Eu gostou de trocar trombone) and Elder Delano's face just lights up and he says "Eu trombone tamben!!!" (I'm trombone as well!) Elder Parker turns to him and says (in English) "You're a trombone too?!?!" I could not stop laughing and it totally ruined the lesson haha. Anyway, hope you all have a great week. First of all, Happy Fathers Day to all the dads out there and a shoutout to my dad. He's a huge inspiration to me and I'm really proud to be his son. My second week at the MTC has been really really awesome, and by that I mean that it went by a whole lot faster than the first week haha. Seriously though its been a really great time. My portuguese has really come along and I'm feeling pretty confident with my ability to speak about gospel topics, but there is no way that I would be able to hold a normal conversation with anyone. So when I get to Angola, I'm going to have to steer the conversation to religion so I can actually communicate haha. We taught our last lesson to our "investigator" Fabio which went.....ok. We asked him to be baptized and he said (in Portuguese) "I was baptized as a kid into the Catholic church. Does this mean that I have to do it again and it wasn't valid?" There was a lot of silence after that and then my comapnion patted me on the shoulder and said good luck. Thanks a lot Elder Dawson. I then spent the next ten minutes trying to explain to him and he said he understood and he'd think about it, eventhough we're not teaching him again. Overall, I was just really fed up with this guy and super glad I didn't haev to embarress myselk in front of him anymore. And then we showed up to class the next day to meet our new teacher and who's sitting at the desk wating for us? Fabio. When the two sisters walked in, they were literally crying and although he kept trying to communicate with us, we were just kinda staring at him in shock. THEN, he started spaking English, which blew my mind. We've been struggling to speak to this guy in broken Portuguese for two weeks and he could actually speak English the whole time! The MTC is cruel. He's actually a really really cool guy and "Fabio" is just an act. His real name is Hirmao Clements and I've learned more from him in two days then from anyone else in two weeks. Other than that, not too much happened this week, except our super awesome trip to the consulate in LA! Ok, so last week, three of our seven elders of the Angolan squad got called to the travel office for somehting about their visas. They told them to come back the next day and they were probably going to fly to the DC consulate to pick up their visas and they were super excited. But it made the rest of us super nervous and wondering if our visas would actually go through. So they went to the office the next day and they said it was a mistake and they actually wanted three other Elders, myself included, and that we were flying to LA the next day at 4 AM! We were so pumped!!!! The original three were pretty upset, but what are you going to do? hahaha. It was a struggle getting up early but we got the airport at around 5:15 only to find out that our plane was at 8:30 and we had to entertain ourselves for three hours ahhh. We ended up just talking to people who came up to us and talking to them about news and sports (more about that later). Then when we finally got to LA, we were delayed outside the terminal for an hour and a half and then spent 45 minutes in a taxi in LA traffic with a driver who didn't speak any English, so we weren't sure if he was taking us to the Angolan consulate or going to murder us somewhere. But we finally got there, and we spent a grand total of 25 miunutes at the consulate. Really the only reason we had to be there was to give them some fingerprints. But they said that they would send the visas in the next couple days and we haven't heard anything since then. But anyway, we were pretty mad that our adventure seemed like a waste of time while we wating for our taxi driver back to LAX. But then we got into the taxi and the driver was this African American woman who told us that she would take us to In N Out along the way. This lady was SO funny. She was completely blown away that we were devoting two years of our lives AND that we were going to Angola AND that we had to pay for it. She seemed super confused why they were sending us to Africa and how they picked us to go. We did a pretty terrible job of explaing because at the end she said " So let me get this straight.. your leaders chose you online, kinda like a dating site, and instead of sending some brothers, they decided to send the three whitest boys they could find to Africa?" But she had major respect for us and she took us to proabaly the sketchiest In N Out I've ever been to. We almost saw a fight go down between two guys, but one of them ran away through four lanes of traffic. The LA trip definitely ended on a good note haha. Other than that, not too much to report. I litreally asked every person we talked to at the airport if they liked basketball and if they watched the game the night before. And got some really good news. HUGE shoutout to Andre Iguodala and the rest of the Dubs, taking care of LeBron and the rest of the Caves. Really frustrating that it happened when I wasn't there, but I see it as a test of my commitment to the Lord. Have a fantasitc week! Hello from the MTC!! It's already been about a week but honestly, it's felt like a year. The days go slow here, but I am really enjoying myself. It started out pretty crazy with just being kinda dropped off at the curb and being rushed inside like they're trying to make sure I don't run away or something...I met my companion, Elder Dawson, from North Carolina, right away. He's a pretty funny guy, tall and an aspiring beat boxer. Our teacher, Sister De Campos, didn't waste any time with speaking only Portuguese which I barely know, so I just responded in Spanish, which she got fed up with really quickly. I really underestimated how long we would be spending in the classroom every day. We do it in 3 3+ hour blocks where we're either reading the Book of Mormon, studying the language, or preparing for our lesson with an "investigator". Elder Dawson and I taught our first lesson in all Portuguese on Friday, after having learning Portuguese for only three days. We basically spent about four hours making a lesson plan in English and slowly translating them into Portuguese with dictionaries. Then pretty much just read the lessons from our notebooks to our investigator. As easy as it sounds to just read out of a book, it was actually really frustrating because this guy was giving us NOTHING. We would ask him questions throughout the lesson and he would either answer with No Seu (I don't know) or Tudo Bem (good). It took us a while to realize that he would only really open up to us if we opened up to him, so in yesterday's lesson, we went in with no notes at all and it was really really brutal. I'm pretty sure nothing we said made any logical sense and I'm surprised he had any idea what the heck we were talking about. There were a lot of awkward silences when we were translating in our heads or he said something and we just kinda looked at him with no idea what he was saying, and every time this happened, he just kinda smirked at us... really nice guy haha. I came in here on Wednesday expecting six weeks of torture, but it really hasn't been that bad. The schedule takes some time to get used to, but I've learned soooo much from the seminars and devotionals. I feel like I've grown a ton in the last six days. My district of elders is really fun. There's ten of us in total, two being sisters going to Brazil, the seven elders of the Angola squad, and an elder waiting for his visa to come for Brazil. These guys are super crazy! We have to be one of the loudest and most irreverent districts here. When we have study time, we all have to go in separate small rooms, or we will literally get nothing done. Sister De Campos gets really frustrated with us sometimes, but I know she enjoys that we're so animated. We share a floor with other missionaries going to Brazil and they are just as crazy. When we all get back at the end of the day, it's a party on our floor with people running around with nerf guns, doing freestyle rap battles, and having tie drafts. It's really funny, for some reason there's also a room of four elders going to Russia, and they HATE us. They're always shutting themselves in their room and telling us to be quiet haha. But its ok, we're just embracing our culture while they're embracing theirs. I've seen a lot of people here that I knew from school, which is really fun. I saw Ryan Nearon in the first 30 seconds that I was here and he gives me Warriors updates every time I see him haha. Speaking of them, there's an Elder in my district from Ohio and a huge Cavs fan so we always get into these debates over James vs. Curry, but it sounds like the Splash Bros and the rest of the Dubs are in good shape. Shoutout to Maddy Auman and Maryn Smyth who just "happened" to be at the temple on our Sunday Walk and to Josh Miner who will be joining me up here in a week and gave a killer farewell talk on Sunday from what I've heard. Finally, I learned yesterday that my dog, Max had passed away on the day I left. I know that he'll be missed by a lot of people out there and definitely by me. He was a huge part of my childhood and a really awesome dog.